Dr.Rajmohan is one of the most distinguished and eminent Implantologist and Cosmetic Dentist in thanjavur city. He is a dynamic doctor with most brilliant ideas, sympathetic attitude and a deep rooted sense of dedication to duty. He has underwent numerous advanced trainings to further sharpen his professional skills. He attends regularly several significant seminars, symposia, workshops, programmes and conferences on different topics and acquires valuable knowledge of latest developments. 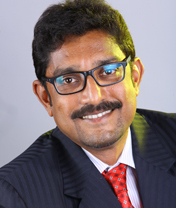 DR.A.RAJMOHAN has done his dental studies in a reputed institution , SAVEETHA DENTAL COLLEGE & HOSPITALS under Dr.M.G.R MEDICAL UNIVERSITY. He completed his B.D.S. , degree in 1999 and has successfully completed his fellowship in implantology ( F.O.I., ) - from Nobel bio-care , sweden in rajan dental institute in the year 2007. He started his professional career in the year 2000,and in 2005 he took incharge of oral & maxillofacial department and trauma care centre in Rohini multispeciality hospital. 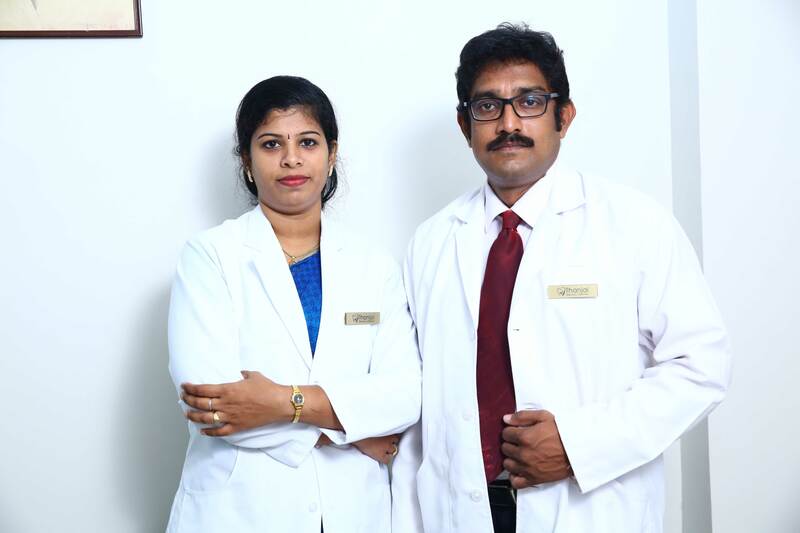 Having placed in a leading trauma care hospital in thanjavur,he concentrates not only in general dentistry but also in oral and maxillofacial surgeries,orthagnathic surgeries,trauma management,etc. In 2009,he established his practise in M.R Hospitals also,another well known hospital in the city. He is parallelly concentrating in creating dental awareness through dental screening and treatment camps along with IDA & NGOs. * He recevied YOUNG ACHIEVER'S AWARD from JCI for the year 2009 for conducting camp for more than one lakh children in a year. He has also received the prestigious IDA state award for CDH activities in the state conference held at Madurai from IDA National state president DR.ASHOK DHOBLE. He has been continously appreciated throughout the year through various awards for his consistent awareness activities. Dr.Rekha is a young dynamic dentist who combines her scientific background with an artistic eye to bring the highest quality of personalized care to each of her client. Dr. Rekha is a caring, gentle and understanding professional. She continuously keeps enlightened herself of the latest advances and developments in the field of dentistry.